When I was at Jacon my friends kept talking about Spike Spiegel being at the con. 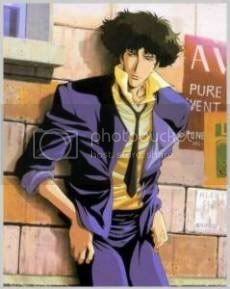 This is Spike Spiegel, he’s a fictional character. He was voiced by Steven Blum, who I assumed they were talking about. The voice of Shiji Ikari from Evangelion. Anyway, first chance I got I went down and got an autograph. 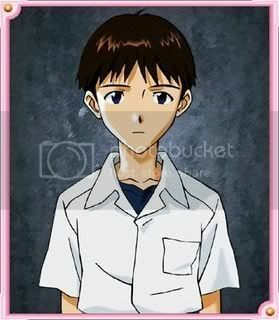 Shinji was not the best character to play in the world, but Spike did it amazingly well. I was thrilled to meet him, but as you can imagine he didn’t care to much about meeting yet another Eva fan. screw it, I got my Eva DVD autographed by one of the only cast members I hadn’t met. That makes me a very happy fanboy.